It is cold outside and I don't feel good. Feel bad for me? Please don't. I have Caddyshack on TV, a fuzzy blanket and persimmon cookies to console me. I'm going to be okay. I Promise. I am just experiencing a little immune response from a vaccination booster. Means my immune system is working, so that is a good thing? 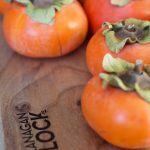 It's that time of year: persimmon time! They normally don't grow here in Canada, but there is one feral tree locally! They are picked early before the frost and live on my counter-top for at least 4 weeks before they are ripe. Delicious (and beautiful) on their own, I eat some plain, but the rest need to be dealt with. 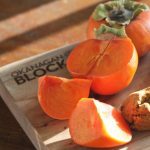 I wanted to have a persimmon super model photo shoot on my beautiful Okanagan Block Company cutting board. That guy (John) makes some beautiful stuff, check out his Facebook page. 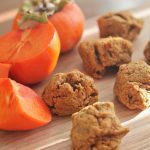 I paleo-ized my Great Granny's Persimmon Cookies. Soft & sweet like Granny used to make. 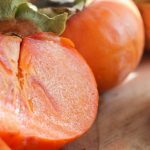 Blend persimmon, ghee, palm sugar, and egg together. Sift together dry ingredients (cinnamon, clove, nutmeg, baking powder, baking soda, salt and cassava flour). Slowly mix into wet ingredients until well blended. Bake 375F for 12-15 minutes. 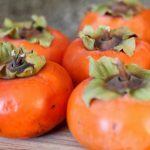 I don’t think I have ever eaten a persimmon! I hadn’t until last year either. Holley was mentioning maybe mango pulp would work well as a sub. Do you know if there is a Canadian source for Cassava flour? Yes, I have come across a couple of options which I will be sharing links to as soon as I get a chance. I’ll try and get that to you tomorrow (I’ve been trying to find the best options since I got my bag). OK, so this company (One Stop Paleo Shop) ships to many places around the world, including Canada. 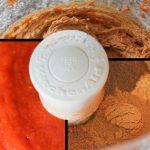 This is one of the most affordable options that I’ve been able to find, aside from making your own cassava flour – so please let me know if you find any other options. 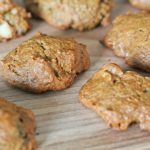 One Stop Paleo Shop has a load of other paleo products! Sorry about the delay in the having the links in the post work. They’re good now. 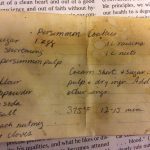 This is recipe looks really interesting. I might have to just give it a try! 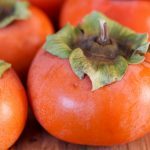 I’ve never had a persimmons nor have I have Cassava flour (what is that anyway?). Might as well check both off the list at the same time! Cassava is a starchy tuber native to the tropics, also known as Brazilian arrowroot, manioc, tapioca, and sometimes yuca (not yucca). Cassava flour is different than tapioca flour because of the procedure used to process the plant. They taste and behave differently (according to Otto’s FAQ). Cassava flour is “the next generation in grain-free baking”. 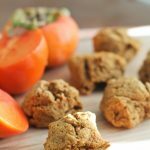 It can be substituted 1:1 for wheat flour in many recipe. 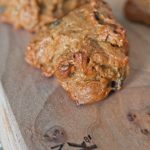 Texture and taste is more similar to wheat flour than any other grain-free nut-free alternatives. That’s what my research came up with! 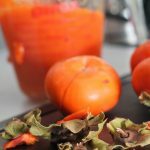 I’m been on a huge persimmon kick this autumn / winter. 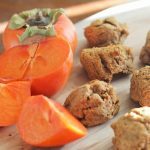 I have a Spicy Pumpkin Persimmon Smoothie recipe on the blog, and I’ve been working on a Persimmon Bread recipe, too. These little cookies look so tasty and sound right up my alley. 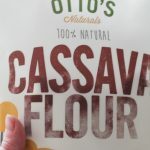 I’m really interested to try the Cassava flour — I’m going to Pin it to remind me to investigate further later. Nice to connect with you! Have a great weekend. Thanks for visiting Justine! Your energy balls look so darn delicious… Drool factory! 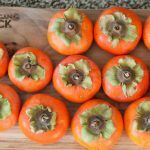 We have a persimmon korma recipe from last year, if I could get my hands on a few more pounds… We do have an affiliate link for cassava flour, I haven’t had a chance to play with it much yet either! Thanks for the great recipe. I did not have any cassava flour on hand so I substituted millet flour instead (I also omitted nutmeg). I like how they turned out. 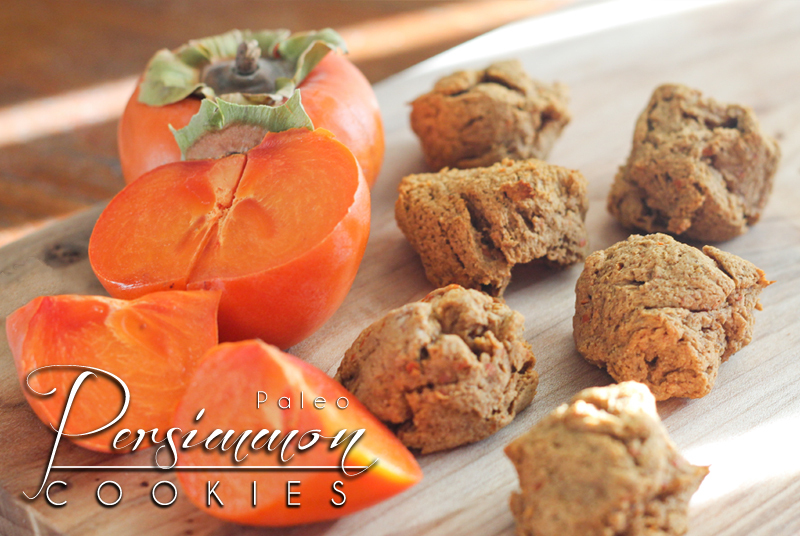 This was my first attempt at baking with persimmons. I love that the cookies are not super sugary! Yay. 🙂 Thanks!! I am glad they worked with the substitutions! 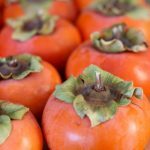 I love persimmons!